Originally established as a hospital for Canadian veterans, Sunnybrook has grown to become one of the largest hospitals in North America, with, 2.5 million square feet of space on a 95-acre campus, and more than 11,000 staff, physicians and volunteers who provide care to patients when it matters most. Over 200 scientists and clinician-scientists conduct more than $100 million of research annually, and in doing so, are changing the way patients are treated around the world. 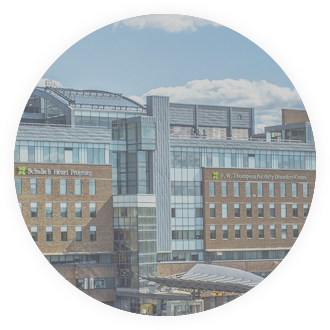 Sunnybrook is an academic centre of excellence, recognized globally as a leader in patient care, research and education.